With large properties like shopping centers, or entertainment venues, communication isn’t as simple as one person talking to another. Many times someone in a location such as a stairwell or parking garage needs assistance and when they push the button, they need to know someone will answer their call. 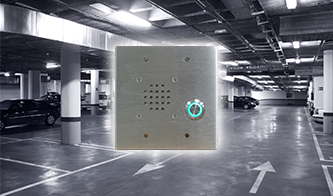 Tech Works helps answer that call with our IC Series of intercom products. When a button is pushed at one of the remote locations, the central station is notified and an attendant can answer the call from the central station or even an optional cordless telephone. How ever you choose to configure your system, rest assured Tech Works will help you answer the call.